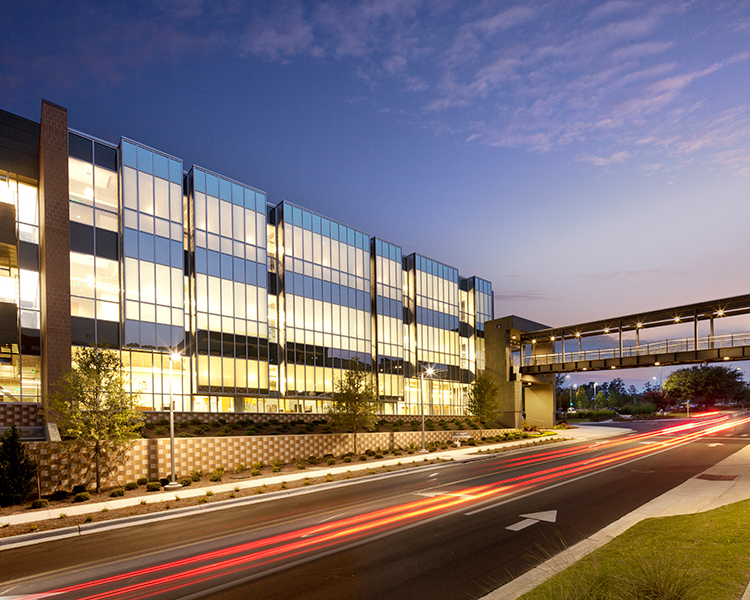 Located on a 65-acre site in Pensacola, Florida, Building IV is a 200,000 SF four-story call center with training functions including audio visual presentation and video teleconferencing capabilities throughout. 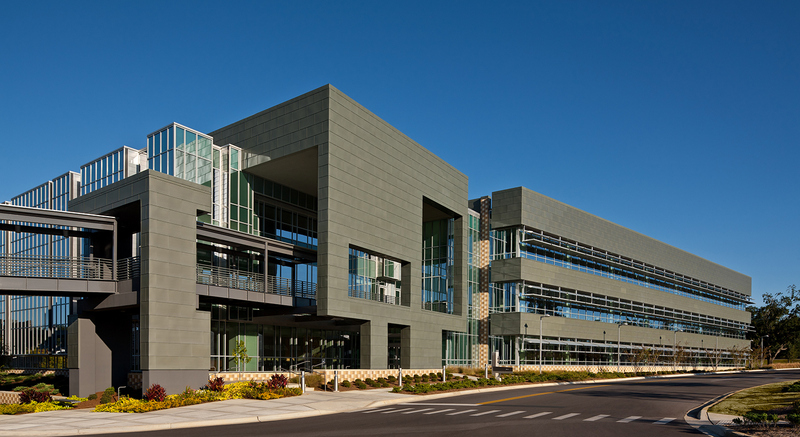 The primary goal for this building was to create a flexible, open, economical, and sustainable (LEED Gold) environment intended to meet needs of the customers and employees of Navy Federal for the foreseeable future. 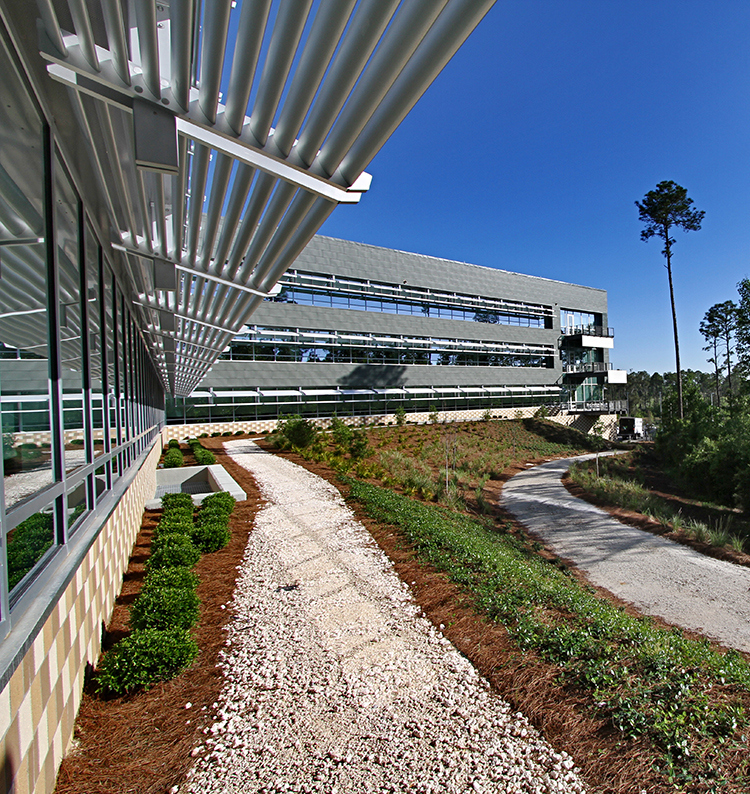 With a focus on sustainability, goals were set to preserve surrounding wetlands, maximize undisturbed land, maximize daylight and views, and minimize both energy consumption and the building’s footprint. 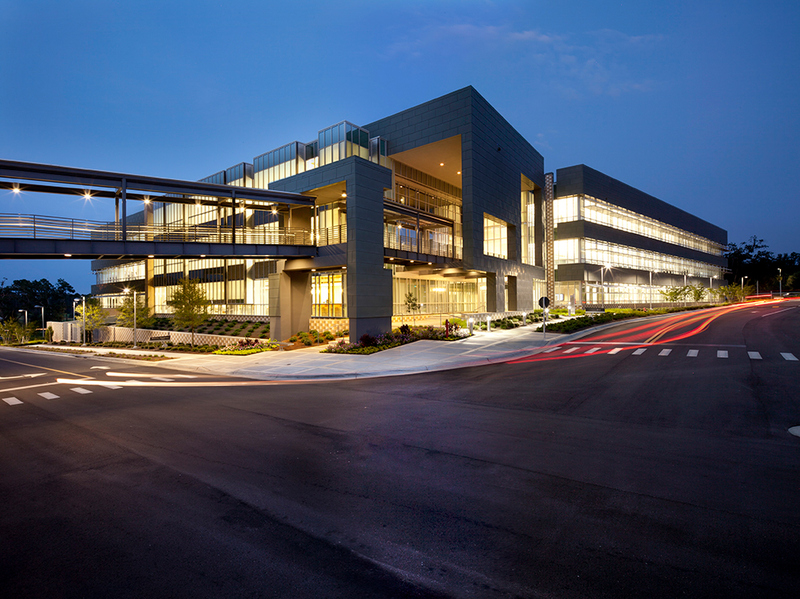 Thus, the orientation, location, and massing were critical design decisions leading to the overall success of the project. 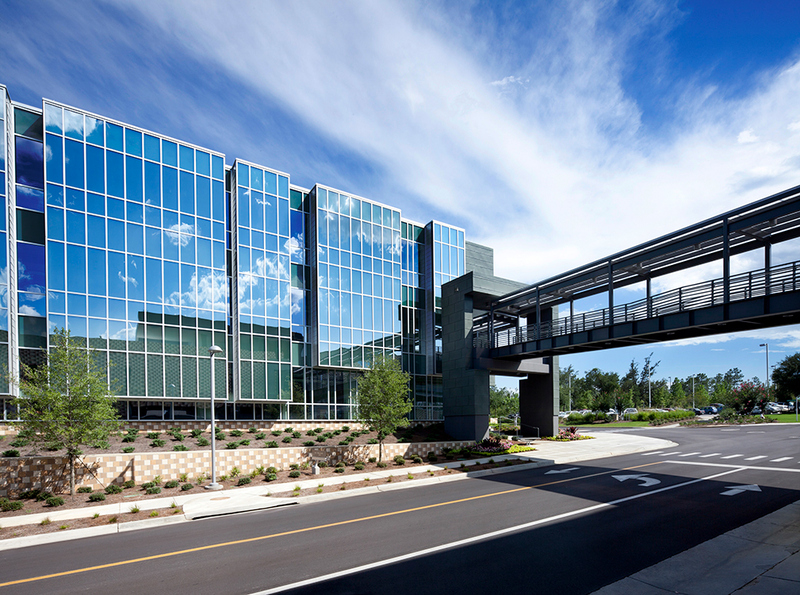 Additionally, dedication to the physical and psychological health of the employee can be seen not only in this building but throughout the campus environment with amenities such as nature trails, views to the outside, daylight harvesting, health clinic, fitness facility, mothering rooms, cafeteria, breakrooms, comfortable workstations, quiet rooms, and recreation rooms. 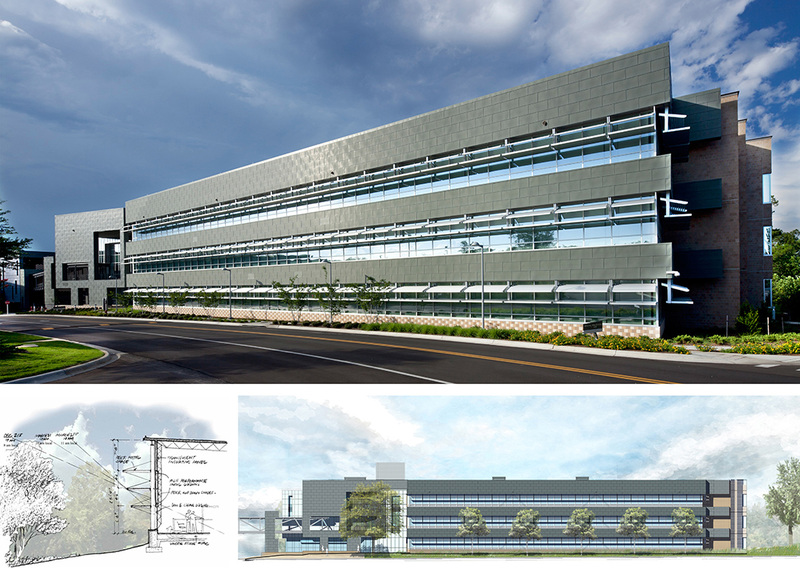 The design team employed several passive solar design strategies in order to respond to the varying site orientations. 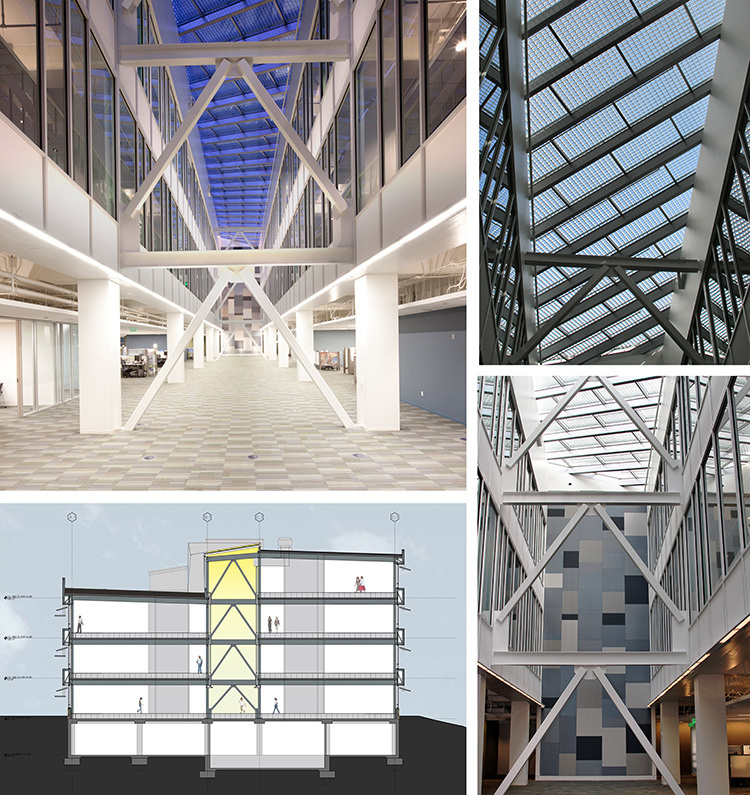 Central atriums were designed and constructed to facilitate the passage of natural daylight into the large, open floor-plates. 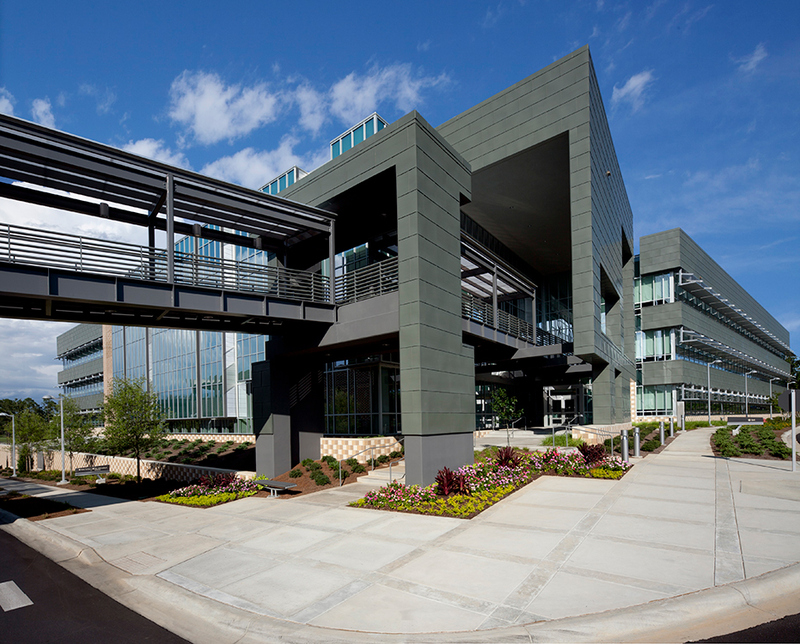 External louvers, sun shades, and light shelves serve to diffuse, block, or allow natural light into the spaces, reduce energy consumption and control glare and heat gain, while creating a comfortable and productive work environment. 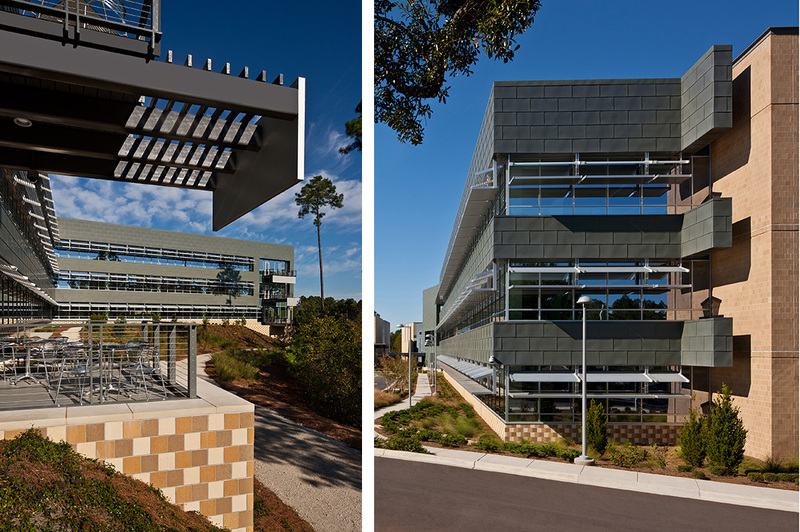 Exterior materials were selected and detailed in order to best perform against hurricanes and the harsh daily climate while also considering life cycle and regional availability. 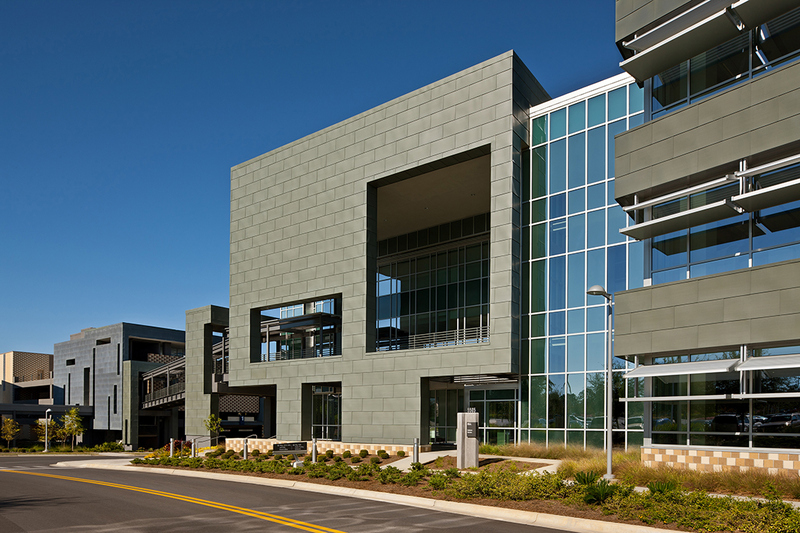 The building skin is composed primarily of curtainwall, zinc panels, and brick in basket-weave pattern. Formal landscaping was minimized in an effort to maintain the natural quality of the site, reduce maintenance, and limit water needs.